Book Adventures: Book Lover's Holiday Giveaway Hop Winner! 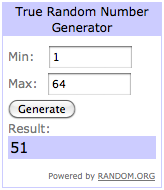 Book Lover's Holiday Giveaway Hop Winner! Krysykat @ Because I Said So! I have sent Krysykat an email. If I don't get a reply by Friday night I will choose another winner. Thank you to everyone who entered! I hope you have an awesome holiday season!